Middle East|He Played at Death in a Gaza Cemetery. Then He Was Buried There. He Played at Death in a Gaza Cemetery. Then He Was Buried There. JABALIYA, Gaza Strip — He lay down among the tombstones in a cemetery beside his grandfather’s house, his cousin said, in what passes for child’s play in the grim reality of Gaza. Telling his cousin he hoped to be buried there, he scooped up piles of sand as if digging his own grave. The boy, Muhammad Ayoub, then sneaked off on Friday, disobeying his mother, to join the weekly protest along the fence dividing Gaza from Israel. Shot through the head by an Israeli sniper, according to the Gaza Health Ministry, he was buried in the same small graveyard that night. The Israeli military said it was examining his death. Muhammad’s relatives and the Gaza health authorities initially said he was 15; his identity card showed that he turned 14 two months ago. His mother said he had wanted to be a “shahid,” Arabic for martyr, since kindergarten, even before he understood what that meant. Muhammad’s world was circumscribed on one side by the Mediterranean Sea, where he liked to swim at dawn, and by the borders with Israel and Egypt, largely sealed for most of the two million residents of the Palestinian coastal territory, which is run by Hamas, the militant Islamic group. 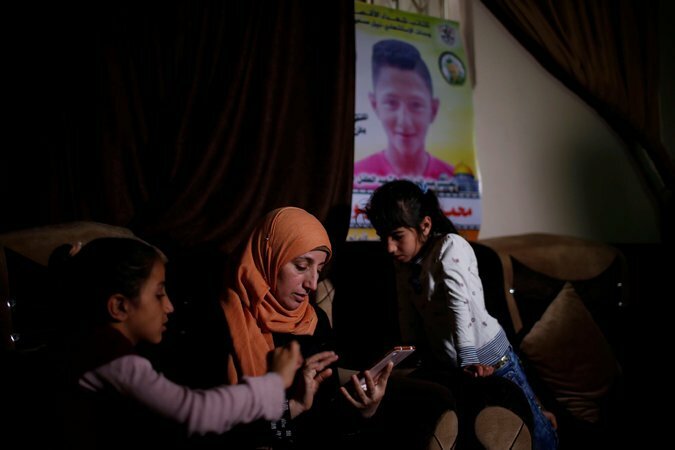 But his death has intensified international attention and censure over Israel’s handling of the protests that began on March 30, both because of his age and because it was caught on graphic video. It has also been widely covered in Israel and has created some unease among the public, which has widely supported the military’s actions on the border. Isolated and impoverished, plagued by chronic electricity shortages and hardships exacerbated by Palestinian infighting, Gaza has bred a young generation that lives without hope. 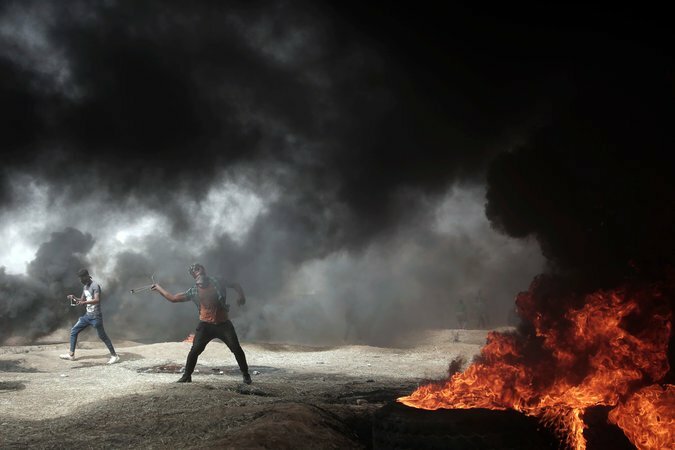 Critics have long accused Hamas of cultivating a death cult, and say it is now trying to deflect the Gaza residents’ growing anger away from itself and toward Israel. Muhammad’s father, Ibrahim Ayoub, 40, said on Saturday that his son was innocent. He spoke from the mourning tent outside the family’s single-story home with a corrugated metal roof in the hardscrabble Jabaliya refugee camp in northern Gaza. “Even if he touched the fence, he was peaceful,” he said, adding that his son had not been throwing stones or holding a weapon. Basel Ayoub, 18, the cousin who was with Muhammad at the cemetery and recounted the scene there, saw him again at the protest site around the time he was killed. Both Basel and another cousin who was there, Muhammad Hamouda Ayoub, 29, said Muhammad had been sitting on the ground with other boys, then got up and ran to escape clouds of tear gas, when he was shot. Over the past four Fridays, at least three dozen Palestinians have been killed by Israeli fire along the Gaza frontier while protesting, sometimes violently, the 11-year blockade of the territory. The protesters are also pressing for Palestinians’ return to lands in what is now Israel. The Gaza Health Ministry has recorded three other minors among the dead. One was 17, another 15 and a third a few days short of his 14th birthday. Hundreds of other people have been injured. Israel says it is acting to secure its border against any mass breach of the fence and to prevent terrorist attacks under the cover of the protests against its soldiers and nearby Israeli communities. The military has warned protesters to stay away from the fence, saying it will not allow them to endanger its soldiers or damage security infrastructure by hurling rocks, burning tires, throwing firebombs or cutting the wire. Over the weekend, the military revised its initial estimate of the number of participants in Friday’s protest, raising it from 3,000 to about 10,000 by the day’s end. That is still a significantly lower turnout than the 30,000 to 40,000 who came to the five protest sites on March 30, when the campaign began. Coming as Israel celebrates its 70th anniversary, the protest campaign has touched one of the country’s most sensitive nerves. Dubbed the “Great Return March,” the campaign is expected to peak on May 15 when Palestinians mark what they call the Nakba, or the catastrophe, of Israel’s foundation and the 1948 war over its creation, during which hundreds of thousands of Palestinians fled or were expelled from their homes. One of six siblings ranging in age from 3 to 17, Muhammad grew up in the alleyways of the Jabaliya refugee camp with refugees and their descendants from al-Faluja, a former Palestinian village less than 20 miles northeast of Gaza. He had already lived through three wars. Muhammad’s father worked for the Western-backed Palestinian Authority security forces before Hamas routed them during factional fighting more than a decade ago. 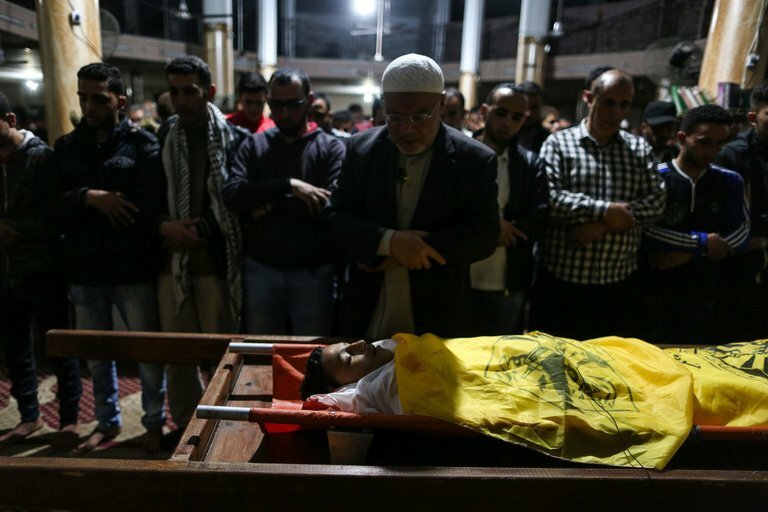 Hamas officials came to pay condolences after Muhammad’s death, but left after a few minutes amid an altercation with supporters of Fatah, the rival Palestinian group, whose flags adorned the family’s mourning tent. His mother, Raida Ayoub, 39, said her husband had taken Muhammad and his two brothers to the protest on the first two Fridays. They skipped the third, scared off by the Israeli warnings. This Friday, too, she told him not to go, fearing for his safety, and took him to his grandfather’s house instead. In the video of his killing, panicked voices can be heard shouting that he has been shot in the head. Others immediately proclaim him a “shahid.” A few hours later, he was in the ground. Iyad Abuheweila reported from Jabaliya, Gaza Strip, and Isabel Kershner from Jerusalem.